Brunel Microscopes Ltd specialise in the supply of quality, durable, low cost microscopes suitable for the rigours and complexity of educational use at all levels. Clearly the requirements of primary education vary considerably from the complexity and sophistication required for University student education and research use. We consider that our range of models offered to the education sector represents the best value for money currently available. Brunel Microscopes is pleased to support the Royal Microscopical Society initiative to increase the level of microscope use in primary schools. 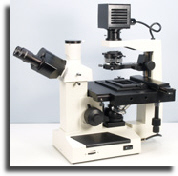 Our DM-1 model has ben specifically recommended, and we have a number of other models that would be ideal for the introduction of microscopy at this level. The introduction of cellular structure into the curriculum at this level introduces the need for high power microscopy in addition to low power stereomicroscopy. We have a range of robust instruments that are largely ‘fiddle free’ and ideal for student application. We have supplied equipment to over 400 universities worldwide. The financial constraints of research grants and departmental budgets makes our specialist microscopes a particularly cost effective option. Let us quote you or arrange for a demonstration.